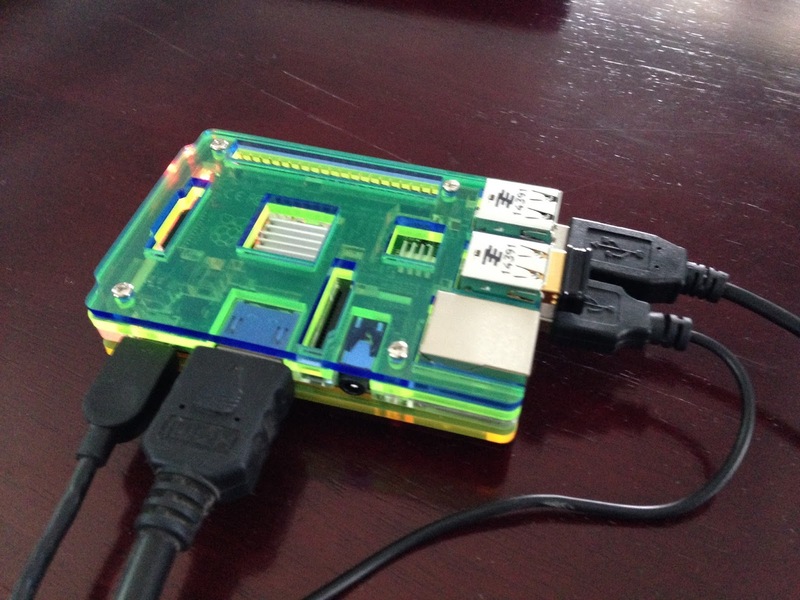 Pi (short for Raspberry Pi) is a single-board computer (SBC). It has a couple of USB ports to which keyboard, mouse and other peripherals can be connected. An HDMI port to connect a monitor, a MicroSD slot for OS/applications/data and a mini USB port for power supply. There are a bunch of models in Pi and I have bought Raspberry Pi 2 Model B a few years back and plugged the different components together as shown below. Finally, installed Raspbian on it. Note that the green casing is not part of the Pi, it had to be ordered additionally. The right side cables are to the USB ports to which a mouse and keyboard are connected. On top of the USB cable is the WiFi dongle. The later models of Pi have inbuilt support for WiFi, but this model doesn't have. The left side cables are HDMI and power supply. It's a cool setup for the kids to get started with computers. It's easy to setup, but those who are scared there are a few choices of laptops built on pi as the new pi-top. The Pi has a few GPIO ports to which different sensors (light, temperature, humidity etc) can be connected to get the ambiance conditions and take some actions using actuators. The above configuration is cool, but is not mobile as it's much like a desktop. So, I was looking for options to connect it to the Laptop and use the keyboard, mouse, monitor and power from the laptop. Here I got the instructions for the same. Finally. I was able to manage the Pi from the laptop as shown below. The Pi Desktop is there on the Laptop. Not sure why, but the VNC server on the Pi stopped starting automatically. So, I had to login via ssh to the Pi and start the VNC server. 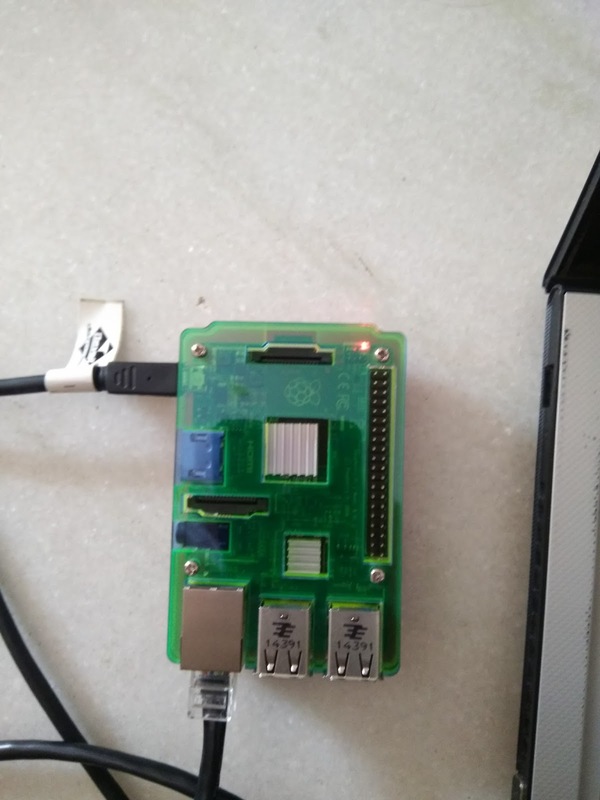 Now, the Pi uses a LAN cable for the communication with the Laptop and a USB cable for the power supply. 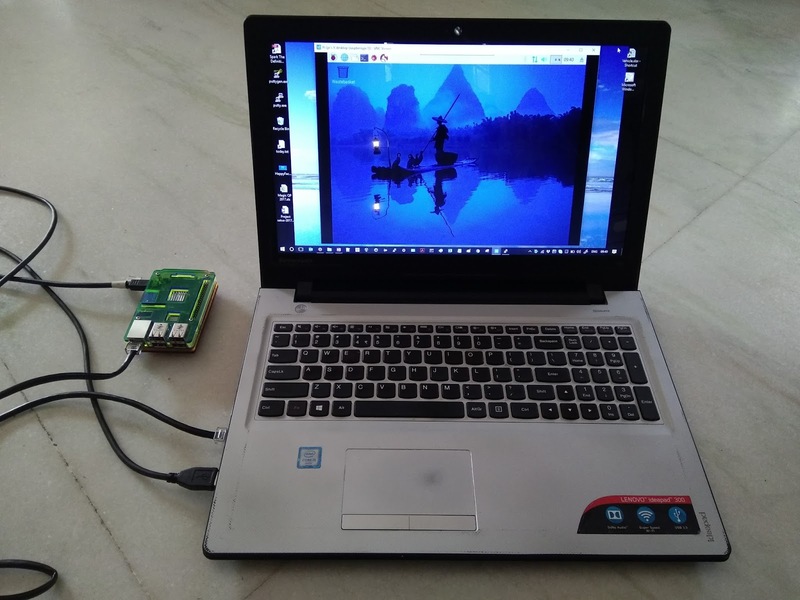 The Pi also uses the internet from the Laptop. Now, I just need to carry the Pi along with two cables to get started with Pi. No need for a monitor, keyboard and a mouse. Also, there are a couple of alternatives to Pi as mentioned here. But, Pi has good documentation/blogs to get started easily. Would definitely recommend a Pi to kids as a gift. I would be blogging a few things around the IOT as I make progress on the current IOT task.